PHOTO: Chris Atkison is aiming high for Coates Hire Rally Australia (Hyundai pic). WORLD Rally Championship driver Chris Atkinson of Australia is determined to make the most of his home event when he climbs into the seat of a factory-run Hyundai at next week’s Coates Hire Rally Australia. In Round 10 of the FIA World Rally Championship on 11-14 September, the 34-year-old will pilot one of the Hyundai Shell World Rally Team’s i20 WRC cars for the first time since March, when he finished an impressive seventh in a gruelling Rally Mexico. Since Mexico he has been helping the team develop the car in its first season of competition and has contested other overseas events. “There’s been a bit of a gap between events, but that hasn’t stopped me before and I’ll definitely give it a good crack,” Atkinson told wrc.com on his return to Australia from Europe this week. “My aim is to drive well all weekend and be as fast as possible. I’ll be happy with that. His confidence coming into Australia has been boosted by Hyundai’s debut win in the most recent round in Germany two weekends ago. Belgian Thierry Neuville took the historic victory, followed in second place by teammate Dani Sordo, of Spain, whose seat Atkinson will take Down Under. 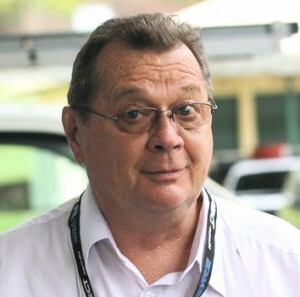 Although Atkinson lives on the Queensland Gold Coast, less than 400 km from Coffs Harbour, he doesn’t have any experience of this year’s gravel stages. He last contested Rally Australia in Perth in 2006 as a member of the Subaru World Rally Team, but believes that just competing on home soil will stand him in good stead. “It’s all new because I’ve never done the rally there. But I should have a good idea about the terrain and fast gravel suits me,” Atkinson said. The pressure on Atkinson is sure to be increased as he goes head-to-head in the Hyundai team with New Zealand’s Hayden Paddon. Both men will be vying for the right to call themselves Australasia’s top World Rally driver. Atkinson knows the threat the up-and-coming Paddon poses, but he’s focusing on driving his own rally. “It’s great to have two people from that part of the world in World Rally Cars,” he said. “Hayden’s obviously driving well and has been given a good opportunity with the team. But I’ve got more experience of the WRC. Rally Australia starts with the ceremonial Coates Hire Rally Show in the Coffs Harbour central mall from 1pm next Thursday. The first of 20 Special Stages covering 313 kilometres over three days starts at 9.18 am on Friday. The rally will come to town on Friday and Saturday nights for the spectacular Hyundai Super Special Stage, adjacent to the Hi-Tec Oils Service Park.